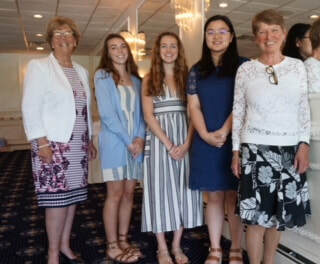 The Spring Lake Woman’s Club offers scholarships to graduating seniors. The young women must maintain a primary residence in Spring Lake or Spring Lake Heights and must have an academic standing in the top 30% of the graduating high school class. Since the Woman’s Club of Spring Lake is a service organization, we are interested in a student who has been active in volunteer activities. We give more attention to someone who has sought out a charity or good works on her own, not as a volunteer requirement that is necessary for graduation or school credit. This scholarship is available to any candidate who meets the qualification stated above. 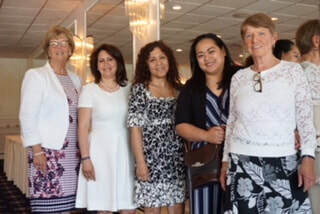 The Returning Woman Scholarships are awarded to female residents of Monmouth County, who have had an interruption in their education. They must be seeking an associate or a bachelor degrees. Applications for both scholarships will be available on this site in January 2019 or in Guidance Offices.